El precio que encontraste es un 14 % más bajo que la tarifa promedio de USD 50/noche de este hotel. El lugar era increíble. Muy cerca de una gran vista de las montañas y campos de té, bien enclavado en una colina. Agua caliente, comidas caseras que eran de primera categoría. Nos mostrarán Munnar un día, es un lugar muy fresco. Anyone know how much a rickshaw should be from wherever the bus stops in Munnar? Or anyone got a phone number for the property? Hi Sir, Welcome to Clouds Land!!! We are really happy to host you at Clouds Land. They will be charging 250-300. 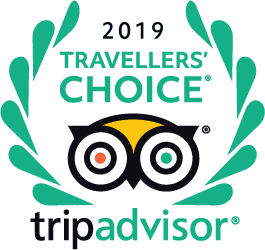 We can’t share our contact details on TripAdvisor, so please go through our fb page. My taxi driver is concerned that Innova might not be able to reach Cloud land homestay. Is the road good enough for Innova to reach Cloud land homestay? We have senior citizens traveling with us. Hi Nithigupta, All the cars can come inside the property. We have some stone paved road through the tea garden which is around 350 mtrs from the main road. Hi nithigupta, Welcome to Clouds Land!!! We are really happy to host you at Clouds Land. Thanks for your enquiry. All Supper Deluxe rooms are on first floor. If you have any needs please feel free to contact us. With regards, Manu.